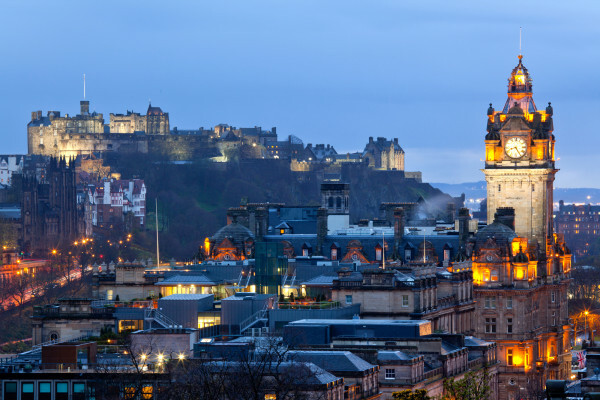 Edinburgh is the capital of Scotland, and is the seat of the monarchy as well as the home to Parliament. It is the second most popular tourist destination in the United Kingdom, second only to London. Long recognized as a cultural and educational center, Edinburgh is home to the University of Edinburgh, one of the oldest centers of higher education in the world. Hogmanay is a festival that originally began as an informal street party, and has evolved to a four-day celebration that includes festivals, fireworks and concerts. You will definitely want to write ahead for tickets, as they are limited to 100,000 and sell out quickly. Number One at the Balmoral offers world class cuisine and romantic ambiance. Visitors may try any number of tasting menus, and the extensive wine selection completes the dining experience.